Regular Joe: The First Selfie - Robert Cornelius & The Dawn of Photography. The First Selfie - Robert Cornelius & The Dawn of Photography. It is a very modern, a very arresting image. A handsome, well dressed man, arms folded across his chest, stares into the lens of his camera. In stylish, high-cllared coat, with tousled, Byronic locks, his eyes, steadily regarding us, the unseen viewers. The man is Robert Cornelius of Philadelphia in the United States. The year is 1839. And what we are looking at is almost certainly the first photographic self-portrait. The first "selfie". Selfies recently became the latest social media trend, with everybody from Angela Merkel and Rihanna to Barrack Obama joining in the fun. In this age of a camera in every pocket, with instant access to a global audience via smart-phones and social media apps, the selfie has become a symbol of our ongoing fascination with ourselves. And our need to share these images with as many people as possible. Photography has become instant and disposable. It is estimated that upwards of 95 per cent of all the photographic images made since the dawn of the technology have been made in the past four years or so, since the mass adoption of smart-phones. How many of us have old phones, obsolete laptops or discarded digital cameras containing hundreds if not thousands of now forgotten snaps? Of holidays, nights out, gigs, or family reunions? Images of some of the most important moments of our lives, consigned to dusty drawers or attic storage. Unlikely to see the light again. Robert Cornelius was an early pioneer of photography. A self-taught genius at chemistry and metallurgy from his youth, he was fascinated by the new science of photography and began playing with the daguerreotype process (the first form of photography) while still in his teens. The first photographs, because of the very long exposure times they needed (sometimes minutes rather than the fraction of a second needed today), were usually of of trees, buildings and other objects that didn't tend to move around a lot. 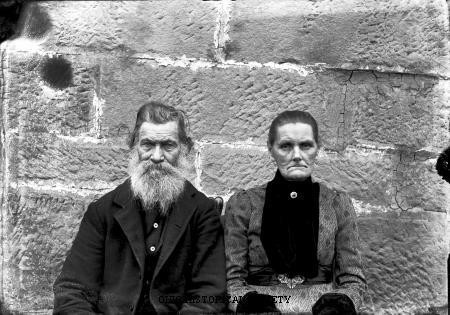 Even when exposure times came down, allowing for portraits of humans to be taken, they were told to sit very still and tended to have set, unsmiling faces (it makes sense, try holding a smile for more than five seconds, it can make you look like a maniac). So what we got, when it came to photographic portraits, tended to be grim-faced, dressed-in-their-Sunday best, people, who were sitting for perhaps the only (expensive) photograph they would ever have of themselves. What Cornelius did was play with the silver nitrate process and lighting, difficult when it was decades before electricity (remember, when his self-made portrait was snapped, it was less than twelve months after an 18-year-old girl called Victoria was crowned Queen of England). 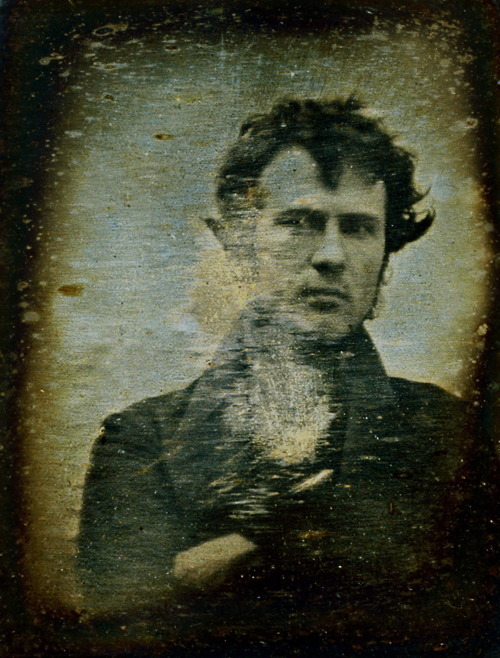 And on a bright autumn day in October, 1839, two decades before the start of the American Civil War, Cornelius set up his camera on the stoop outside his father's store in Philadelphia and took what is one of the first ever pictures of a human being and almost certainly the first self-portrait. He had only recently turned 20 years of age. It was a great breakthrough in early photography, but also a moment that foreshadowed the modern age of self-obsession. Of course, self-portraits were nothing new. The Dutch master Rembrandt sketched or painted over 90 in his own lifetime. 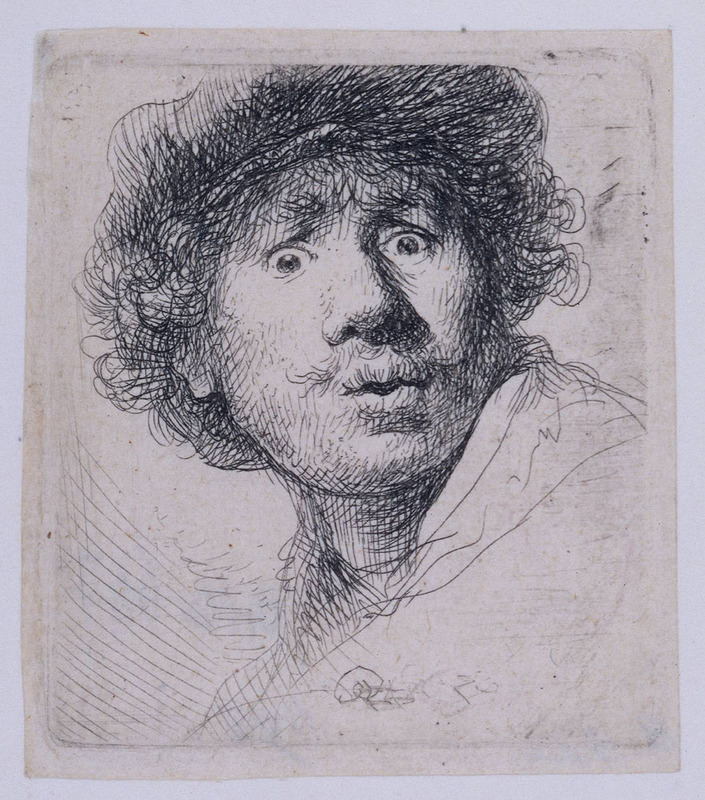 Rembrandt Selfie - And Guess The Expression..Surprise? But what Cornelius pioneered was the democratisation of the self-portrait. In the years to follow, you would no longer need to be a great artist, with days or weeks to devote to looking into your own face. Gazing into your own eyes. Cornelius gave up on photography after several years of running his own studios, to make his fortune in the family business. He still worked with light, but it was of the gas-light kind. And he lived long enough to see electric street-lighting illuminate the streets of his childhood. What he left us was the first (or one of the first) photographic self-portraits. And written on the back is the legend; "The First Light Picture Ever Taken".